Google has filed its earnings report for the quarter ending June 30, 2014, posting a gross revenue growth of 22% year-over-year. Revenue for the quarter topped out at $16 billion (about £9.3b, AU$17.1b). 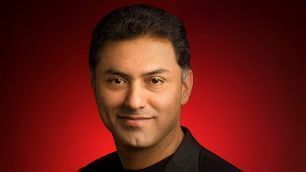 The biggest and most unexpected news to come out of the report is word that Chief Business Officer Nikesh Arora is leaving Google to join SoftBank as vice chairman of SoftBank Corp. and CEO of SoftBank Internet and Media. Arora, who participated in Google's earnings call today, has been with Google for almost 10 years. Omid Kordestani, business founder and sales team lead, will take over Google's business organization for the time being. In addition to its 22% gross revenue increase year-on-year, Google reported a 3% increase quarter-to-quarter. The company's total revenue from its own sites was $10.9 billion (about £6.4b, AU$11.7b), 69% of total revenues, and its revenue from partner sites was $3.4 billion (about £2b, AU$3.6b), or 21% of the total. Google reported that digital sales in the Play store also helped drive year-over-year growth, and pay-per-click was strong. In addition paid clicks on ads on Google sites and on Google Network sites increased 25% from the same period last year. However cost-per-click on ads, which decreased by 6% in Q2 2013, remained the same. A full 58% of total revenue came from sites outside the US, a slight increase over previous quarters. During its earnings call Google mentioned that the ongoing convergence of Chromebooks and Android is going splendidly as the two platforms continue to become closer and closer. Google also touched on the sale of Motorola to Lenovo, remarking that the Moto G and Moto E are showing strong momentum, especially in emerging markets, and the two devices had a strong quarter. Lenovo piped in with its own statement following the call, noting that Motorola's "recent results show why they can be such a strong growth engine for Lenovo once our acquisition is approved." The statement continues, "Once our acquisition is complete, we will be able to bring more innovative products to more consumers around the world - and we will be able to build on the momentum Motorola has built in the market."